As you’ve trundled around in your cherished – but now somewhat ageing – motorhome, you might have cast envious eyes at those campsite neighbours showing off the Auto-Sleeper they’ve just bought. Perhaps this is the year you’ll be able to earn your share of jealous looks by upgrading your motorhome to an Auto-Sleeper of your own. 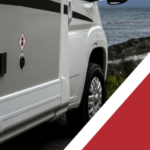 For anyone with even a passing interest in motorhomes the models built by Auto-Sleeper are in a class of their own when it comes to quality and reliability – a solid reputation that has been more than 57 years in the making. It’s not just the Mercedes chassis and power-unit, but the sheer spaciousness and clever design of the interior that one plaudits from reviewers of 2018’s models Caravan Guard. If you are upgrading your motorhome to an Auto-Sleeper you are likely to be spoilt for choice by the range of Mercedes models alone – there are six of these to choose from, many of them award-winning and each one a customisable coachbuilt motorhome. But it is not only the Mercedes fleet of top-quality motorhomes that emerge from Auto-Sleeper’s Orchard Works in Worcestershire. 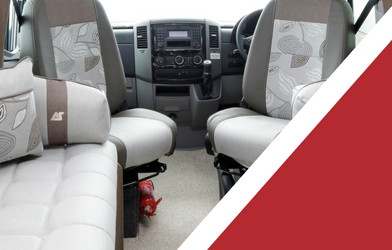 There is an equally fine range of Peugeot coachbuilts and Peugeot van conversions, with models to suit all users and pockets. 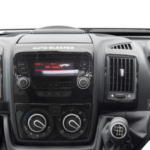 For all the magazines and brochures you might read – or even that model you spotted at a recent campsite – there is unlikely to be anything to beat a first-hand inspection up close and personal. And nowhere are you likely to find such an extensive range of all Auto-Sleeper models on permanent exhibition under one roof than at our centre here at Derby Motorhomes – a heated indoor showroom, no less. 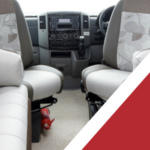 It’s here that you are able to step up into whichever motorhome takes your fancy, take a seat behind the wheel or in the luxurious interior, open and close the drawers and cupboards and truly imagine yourself on holiday in such a home away from home. You’d like to upgrade your motorhome to an Auto-Sleeper, but how are you going to afford it, you might ask. At Derby Motorhomes once again the choice is all yours. One way we are committed to helping is by guaranteeing a fair, top-notch part-exchange price if you are looking to upgrade. 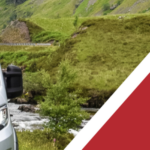 Our website helps to get the ball rolling by inviting you to submit details of any motorhome or campervan you want to offer in part exchange so that we can provide you a valuation as speedily as possible. 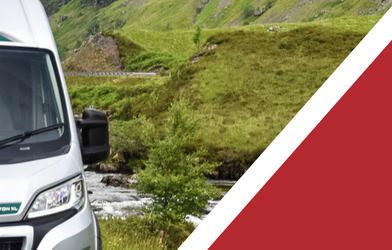 We are also able to arrange motorhome finance at what we believe are competitive rates – even if your credit history is less than perfect. If you choose to fund your purchase that way, you may do so in the confidence that we are duly authorised and registered with the Financial Conduct Authority (FCA) – who regulate the providers of such credit. You have probably heard that all the rage in car finance these days is something called Personal Contract Purchase (PCP) – you might even be buying your car through just such a scheme. 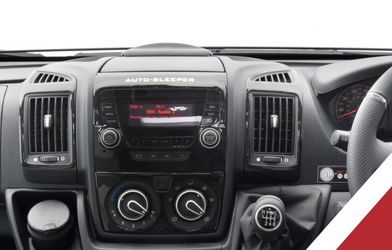 And that is yet a further method of financing the purchase of an Auto-Sleeper if you are upgrading your motorhome. For those more comfortable with more established, traditional forms of finance, we can also offer hire purchase agreements.